Advanced Assembly is pleased to announce the addition of Maureen Irvine and Dionna Foreman to the company’s Sales department. With nearly 25 years of sales and customer service experience between them, customers can expected even higher levels are personal service from the newly expanded team. Dionna and Maureen are Sales Support Representatives at Advanced Assembly. They are responsible for helping customers receive the best possible pricing, while also helping to ensure the successful assembly of each order as it passes through the manufacturing facility. Dionna Foreman joins Advanced Assembly from SlimGenics where she worked as a weight loss coach for nearly 15 years. In this position, she worked closely with clients to help them overcome obstacles and meet their goals. She also has held manager and business development roles at Metabolic Research Center, Team Worldwide and LA Weightless. Before coming to Advanced Assembly, Maureen worked in human resources for Best Payroll Services and as a CFA officer for the Center for Excellence in Higher Education. She also spent 7 years learning the ins-and-outs of PCB manufacturing as a Regional Sales Manager for Advanced Circuits. 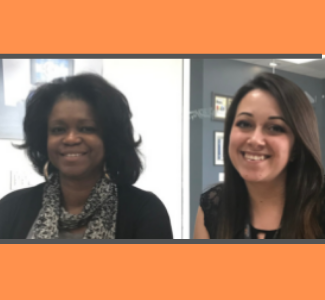 We are excited to have both of these highly-qualified, new employees on board, helping to enhance a culture of communication and service that makes customers the top priority!